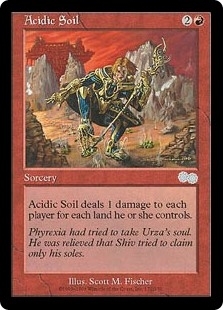 Acidic Soil ($1.09) Price History from major stores - Urzas Saga - MTGPrice.com Values for Ebay, Amazon and hobby stores! Card Text: Acidic Soil deals damage to each player equal to the number of lands he or she controls. 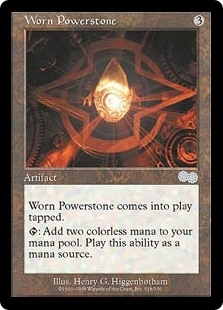 Flavor Text: Phyrexia had tried to take Urza's soul. He was relieved that Shiv tried to claim only his soles.